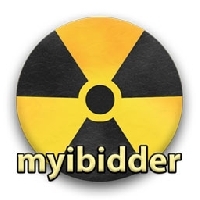 Myibidder.com (originally Myibay.com) is a Free auction bid sniper and management service for eBay. It helps you to snipe, manage and track your auctions in order to keep your bid interest in secret and prevent shill bidding while tracking your won items. The service is free, based on donations. Native add-ons available for Google Chrome and Firefox browsers. Android app is available in Android market. iOS app for iPhone and iPad is available in AppStore.